Appearance grade denotes a "knotty" piece of lumber that has little to no rot, wane, holes or bug-holes. Appearance grade post & timbers are used in garden furniture, decking, beams and posts, fence posts, pergolas or "Reman" blanks to produce STK siding. 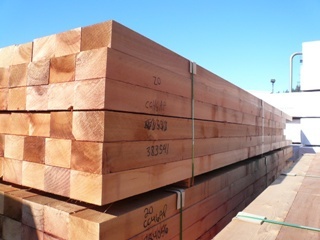 Appearance "Dimension" lumber is used for decking, fencing and garden structures.